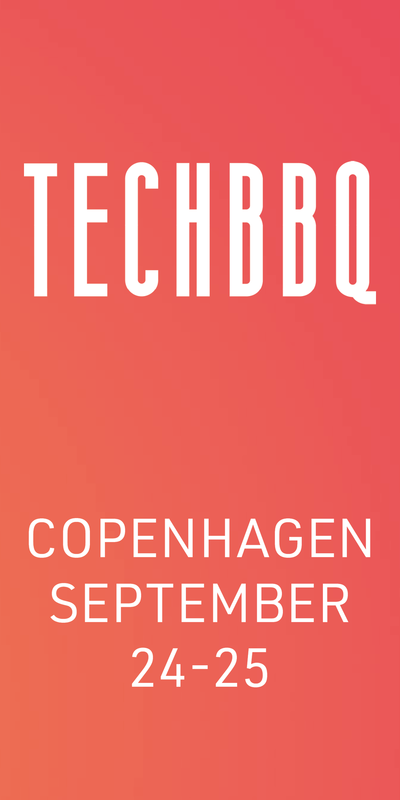 This year, TechBBQ and our partners are hosting more than 35+ workshops and side-events proving a space to dig deeper on a wide range of topics including everything from Internet of Things and design of physical products to how to convince a room full of men and how to use mentoring efficiently in startups. Please note, that workshop participation requires registration by adding the workshop to your schedule in Grip. Roundtables on the potential and challenges of learning from the innovation hubs in Silicon Valley, Shanghai, Munich and Tel Aviv. Thematic round tables on the four locations as well as on 1) Industry 4.0/Digital Transformation, 2) Robotics, 3) SaaS/IoT/B2B/Enterprise Sales, 4) Medtech and 5) Fintech. An overview of legal and regulatory challenges for Fintech startups. Participants will gain insight into, for example, (i) use of blockchain technology and crowdfunding in a legal perspective, (ii) when FinTech startups run a business that requires permission from the Danish Financial Supervisory Authority, and (iii) the opportunity to ask questions about legal challenges connected. Live pitch from a startup looking for capital and competencies. Investors will discuss the case, provide feedback and decide whether to move forward with negotiations. Networking session for both Business Angels, Venture Capitalists and Corporate Venture Capitalists. As an entrepreneur in care and health, you face daunting challenges, financing and time to market amongst the most prominent. The panel will address the challenges meeting entrepreneurs in the health and care sector, and put a spotlight on the resource pool available. We will discuss the potential of looking global, looking local to municipalities, looking for government funding, looking for business angel investment, and even going it alone. Match your team with investment and other resources. Sign up for this event providing you with quick insights and an introduction between you and investors and other crucial resources in this sector (money, know-how, accelerators and possibly partners for co-creation). It’s early in the morning. You’re running late. And on your way to work you bump into the client or investor of your dreams – in an elevator! What do you say? And how do make sure to leave a lasting impression? In this session, we give you the secrets on how to nail your perfect elevator pitch in only 60 seconds. And afterwards you will test it in front of real experts and receive feedback. Exo Lever is the Global Transformation Ecosystem that helps organizations, institutions and people to Unlock Abundance. They just have published the book 'Exponential Transformation', that has the full recipe for evolving your organization and suppressing your organizational immune system in a 10 week ExO Sprint. Kickstart your transformation by investing only 2 hours of your time. This workshop requires separate registration here. During this workshop you’ll learn actual strategies to seem more confident until confidence has become an integral and natural part of you. The world needs women and their innovative ideas. We want to teach you real life practical strategies. At this workshop, you will learn concrete tips on how exactly to be and look confident in situations where you are judged in less than 5 seconds. Short presentation of mentoring at INCUBA StartupLab, followed by do's and don'ts in mentoring by 3 experienced mentors and ending with Q&A. This guide tour requires registration to participate. Get a unique chance to visit the newly opened IBM Cloud Garage in SOHO. Experience how IBM guide clients through the full innovation journey and create solutions through a lean process. IBM is hosting two daily tours with a limited amount of participants. Each tour will take 20 mins. followed by informal networking and lunch or afternoon snack and beer tasting. This workshop will give participants an introduction to what Artificial Intelligence is and demonstrate used cases. Participants will get a rather simple framework for identifying AI opportunities. At DAYS OF IMPACT WORKSHOP we’ll bring together different stakeholders across sectors to identify and highlight the challenges that social entrepreneurs face and identify and co-create a road map of solutions and actions. Danish startup case that helps track your IoT value creation and generates automated CSR reports from big data + information about IoT Week 2019 in Denmark. In this workshop we will be exploring interaction design and design thinking as a tool for developing new IoT solutions. We will also describe how to use expert evaluations from other companies who have already developed IoT solutions to ensure that you get input based on their experiences. What to look for when evaluating the maturity of startups? Do they have a scalable platform, is the platform secure, are there a business model based on products or services, and is there a potential for the value chain. Learn to dissect an IoT system and to evaluate the individual parts, to spot if the development is on track. The coming years' societal investments in the Fehmarnbelt connection, the new Storstrømsbro and other similar large-scale construction projects offer enormous potential for increasing the digitization of infrastructure solutions with positive social impacts. The potential is i.a. to the rapid development of Sensory, Internet of Things, Big Data and advanced data analysis, the creativity for developing smarter and more cost effective solutions. Based on the success story of the innovative robotic ecosystem in Odense, Mikkel Christoffersen, Business Manager at Odense Robotics, will be sharing how to scale your robotic business globally within 24 months. From Idea, to Proof of Concept to the first Proof of Business, you will dive into successful case stories from companies in the Odense Robotics cluster. A higher education institution and a tech company (IBM) present and discuss a new way of thinking higher education with a start-up/innotech purpose. Young people have their business idea and acumen as core in order to build education around it. What are some successful models that work in building a good environment for startups and innovation to happen? How can we better encourage the full blooded startups getting started and growing? What are the keys for technological innovation that can scale globally? This is the topic for a session, which looks at real world cases and takes advantage of the different methods used in different regions. Many startups will benefit from using investment calculations to a larger extend. Simon Spies revisited: Can we disrupt the travel business from Copenhagen? The travel & tourism industry is blooming, with growth rates in excess of 35%. And so is the startup community within the industry: 2017 was another record year with investments of more than $5,3 billion. How can the Danish ecosystem tap into this – and how can we encourage and foster this development here. Six months into the Oracle Scaleup program, BotSupply shares their experience, learnings, and mistakes. The workshop contains a Q&A session for other scaleups considering joining cloud accelerator programs. This workshop will be about pitfalls and lessons learned when designing hardware, and also to give inspiration and advice on how to design better hardware products – whether you are in the prototype phase or moving on with your next version. Learn about how shorter development iterations can help to achieve better prototypes within a shorter timeframe and how you can bring ambitious design into your technical development. The way we build product affects our ability to freely organise our organisation and still remain effective. Software architecture can be a big obstacle or enabler for a given organisational model. Introduction to Firebase as a basis for mobile / web application development. How can you leverage Firebase to serve more users faster and more securely? Will cover the new database for Firebase, Firestore, as well as serverless integration with Cloud Functions. This workshop will cover different topics about IT Offshoring; why the need for IT Offshore, going through myths about IT Offshore, using IT Offshore as s solution for young companies’ situation on a heated market for recruitment, how to choose the right IT offshore/nearshore partner and offshoring in the context of GDPR. Two prominent Danish entrepreneurs will share their successful experiences with establishing and running both front and back office operations there. Andzej Rynkevic, CEO of Baltic Assist will give an introduction afterwards Per Møller, former CEO of EY shares his story and then we will hear from two entrepreneurs; Thor Angelo, CEO of OrderYOYO, shares his experience with having a near-shored team and Peter Nordgaard, CFO and associate professor tells about setting up back office operations for the Danish blockchain company Coinify. Why should you build your business on Azure? As a startup you need three things – A fantastic business idea, cutting edge and secure technology, and access to customers. If you bring the first one - Microsoft can help you with the other two. In this session we discuss how the Microsoft Cloud can help your start with compliance security and scale, and how your products can be sold through Microsoft.